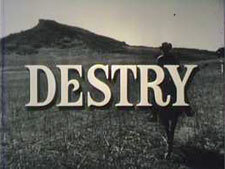 Destry: Mystery and Suspense on Television. 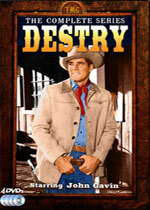 John Gavin stars as Western lawman Harrison Destry, a series that aired for just one season of 13 episodes on ABC. It was based on the film 1939 Destry Rides Again, which itself was adapted from the 1930 book of the same title by Max Brand.